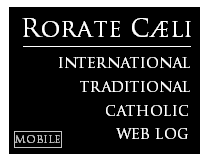 RORATE CÆLI: De Mattei: The Death of Paul VI (August 6, 1978). An anniversary. Giovanni Battista Montini was born in Concesio, in the province of Brescia on September 26th 1897. His family environment was characterized by a strong tendency towards liberalism and a streak of Jansenism, which was expressed above all in the liturgical field. In addition, the pro-modernist liturgical tendencies of the Oratorian Fatther, Giulio Bevilaqua, (his spiritual director whom he made a Cardinal in 1965) left a mark on his early formation. On May 19th 1920, the young Montini received Holy Orders at barely 22 years of age, without having pursued his theological studies in the seminary on account of his fragile health. Once in Rome, he was called to the Secretariat of State and appointed ecclesiastical assistant to the ‘Fuci’ (Federazione Cattolici Italiani), an activity which occupied him intensely, but from which he was [eventually] removed because of his ‘innovative’ liturgical ideas and marked tendency towards ‘politicizing’ the young. His father, Giorgio, had been a Deputy of the ‘Partito Populare Italiano’, so politics, along with the liturgy, remained one of his great passions. Cardinal Casaroli, in turn, confided to Andrea Tornielli that relations between the Pope and his collaborator had deteriorated as a result of contacts Montini held with the Italian Political Left - unbeknownst to Pius XII. From the correspondence between Monsignor Montini and Don Giuseppe De Luca, it can be deduced that the Substitute, by way of this Roman priest, maintained relations with Catholic Communists and some sectors of the Italian Communist Party. The historian Andrea Riccardi, reveals, on the other hand, that some appointments of bishops in Lithuania had given cause to the rumors of Montini’s disloyalty in the relations between the Holy See and Soviet Russia. These rumors go back to a “secret report” by the French Colonel, Claude Arnould, who was asked to investigate the passing of information reserved for the Secretariat of State and the Communist governments of the East. Arnould had retraced the responsibility of the news-leaks to Monsignor Montini and his entourage, thereby alarming the Vatican. 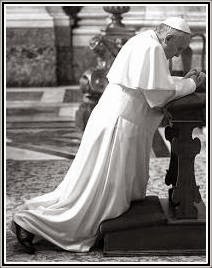 His suffering was such, that in the following ten years no encyclical was again promulgated by Paul VI. But he continued to follow Italian politics attentively, encouraging Aldo Moro, the friend of his youth, to achieve - after the opening up to the left - a historical compromise with the Communists.